Welcome to our range of pre-owned motorcycles and ex-demonstrators. We would like you to see photos of all motorcycles listed and this page may take a few seconds to fully load. JUST IN! A great example of the popular and practical Adventure version of the F 800 GS. One owner with service history, owner’s books and two keys. Low kms and a proven reliability record. 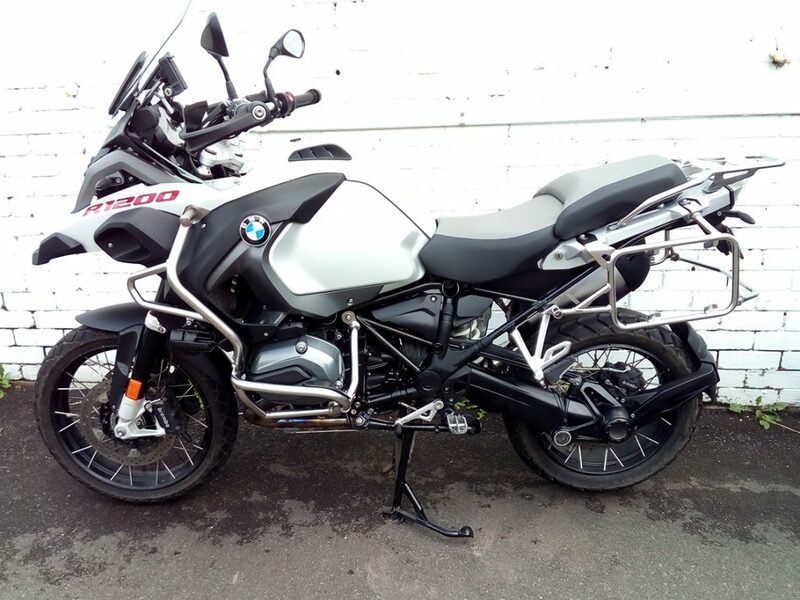 The first owner has made selected quality upgrades including BMW alloy panniers, SW Motec alloy top box, adjustable gear lever, side-stand enlarger and headlight protector. 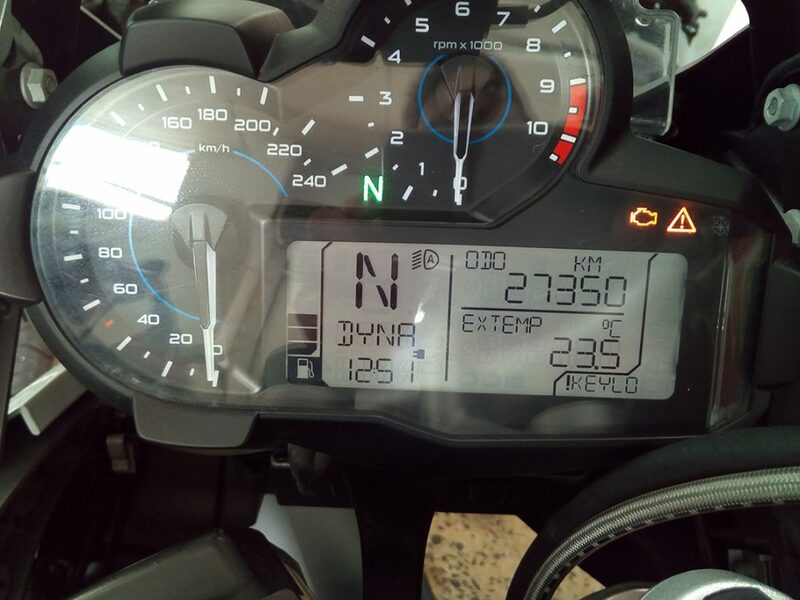 Standard GS Adventurer equipment that sets it aside from the GS include: 25 litre fuel tank (4.3l/100km), dual rear brake lever, engine protection bars, allow bash plate, comfort seat, tall screen. The bike has been serviced by our BMW mechanics, with new rear brake pads fitted, oil and filter. Deposit taken! Our Hyosung Aquila GV650 is a fantastic example of a full-sized learner-legal cruiser. The bike has been really well looked after and obviously garaged its whole life. 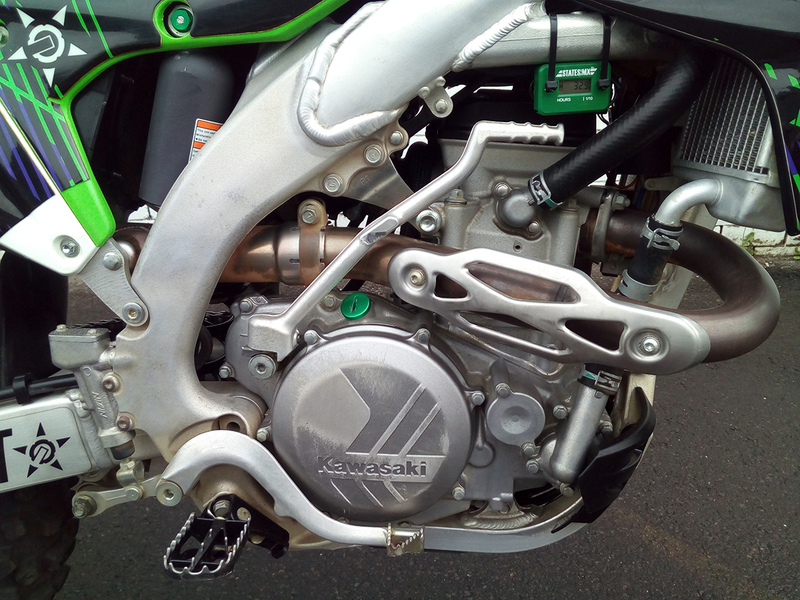 Some of the great features are that the motor is based on the Suzuki SV650 V-twin and has built a reputation as a reliable and ecomomic unit. It’s also fitted with belt drive like its Harley cousins. So quite reliable and no dirty chain oil all over the bike. Upside-down front forks are standard and the bike has been fitted with upgrade rear shocks (comes with originals), new mirrors and a handy pair of saddle bags. It is not easy to find clean units like this one! This bike has had one only seasoned rider who has looked after it, had at professionally maintained and kept it garaged. It’s been used for long hauls on tar and some gravel roads. Upon inspection it is clear this bike has not been dropped; there is no apparent damage in the usual locations like engine protection bars or rims. 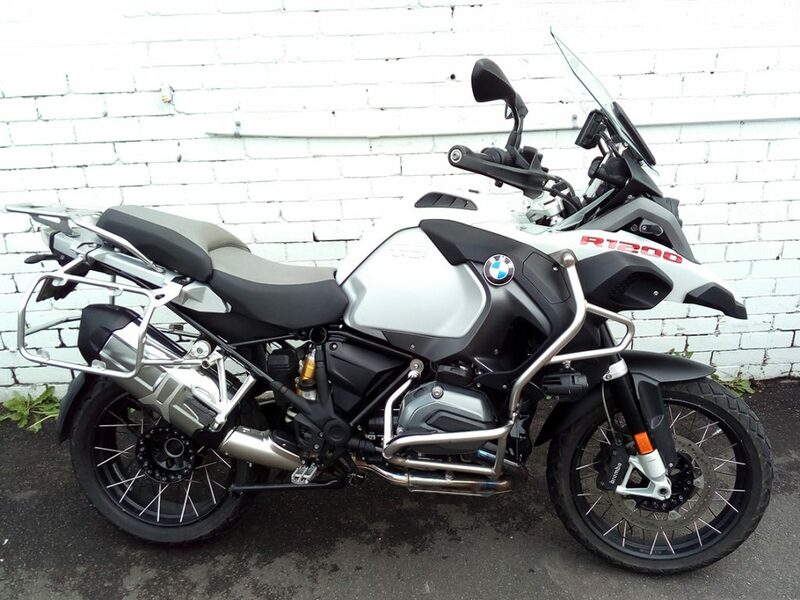 This bike is fitted with the OEM BMW luggage rack kit, engine and fuel tank protection bars, tall screen, navigator holder, heated grips and cruise control, which are all standard equipment on this spec level of GS 1200. Comes with keyless fob and emergency spare key, service/owners manual (services logged) and supplementary owners books. 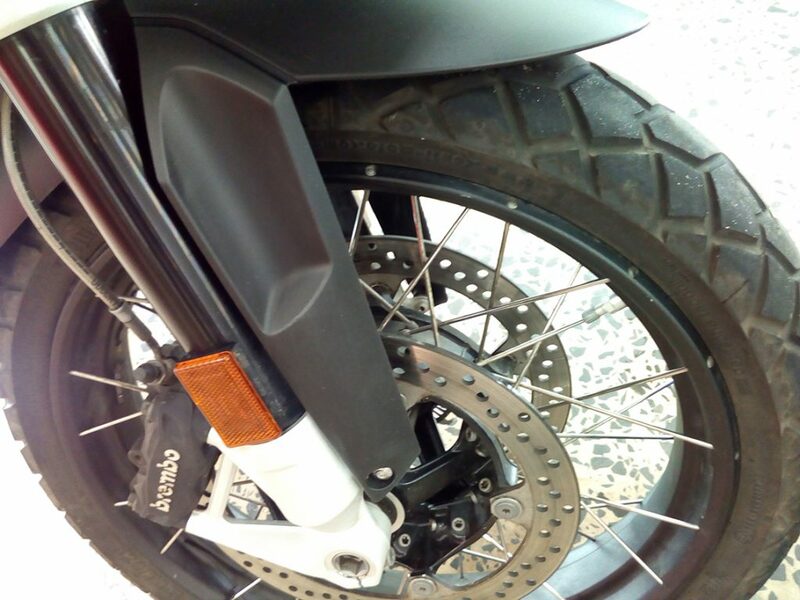 The bike will also come with Roadworthy Certificate, PPSR check and BMW workshop check. This bike rides like new! Honda’s flagship Sports Tourer built for the rider who doesn’t want the size of a Goldwing but still wants all of the performance and luxury of a fantastic long distance tourer. This model presents in excellent general condition. There is some ‘garage wall rash’ on both left and right mirror edges. The condition of panniers and top-boxes belies the age of this bike. The kilometres are quite low for a tourer of this age. Large front pockets with one lockable. Bike is fitted with a Garmin GPS powered mounting, Oxford heated handgrips electrically adjustable screen and comes with books and receipts. Was previously owned by a seasoned rider who has upgraded to a brand new bike. This is a brilliant example of BMW’s premium adventure bike: the unequaled and unrivaled GS Adventurer. A one owner motorcycle ridden with care and professionally maintained. It has been fitted with a number of very practical off-road accessories. including a tall front screen which is fitted with a aftermarket additional wind deflector, as well as a side stand enlarger and head light protection. 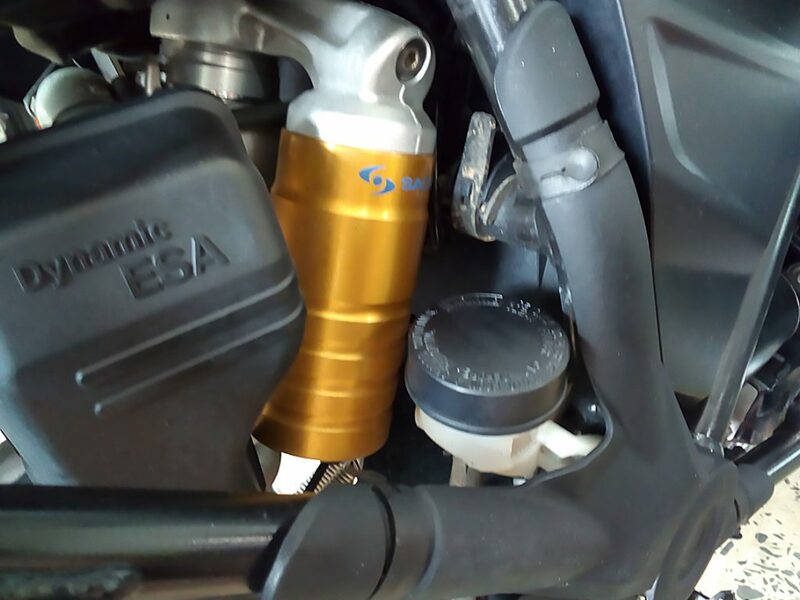 Standard fitted equipment on the GSA includes: full crash bars, long range fuel tank, dual position rear brake pedal, water cooling and tubeless tyres. This Street Glide shares the same motor and frame as the famous Road King HD. It has always been garaged and regularly serviced by the local Harley dealership. Additions to this Harley include a Stage 1 kit and Vance and Hines Pipes, quick-disconnect sissy bar kit, special order paint (Sunglow Ember Red) which has a strong metal flake that can be seen in the sun. The bike comes with service records and books, key fob, PPSR certificate and roadworthy certificate and workshop checks. 11/12 Compliance plate. This bike has been engineered to do high km’s during extended touring trips. It has a little over 100,000 kms and the engine is as smooth and responsive as ever. High levels of rider and pillion comfort are the key to why most people buy this model. Also for the smooth and powerful long legged engine. This bike comes with a colour-coded Givi top box and both factory side panniers. Standard dual pipes are quite and in good condition. This is a reliable, cost-effective tourer. The bike will be workshop-tested and serviced as required. This bike is like brand new – save thousands!. A one-owner bike originally sold by us (the owner has moved on to an S 1000 RR). 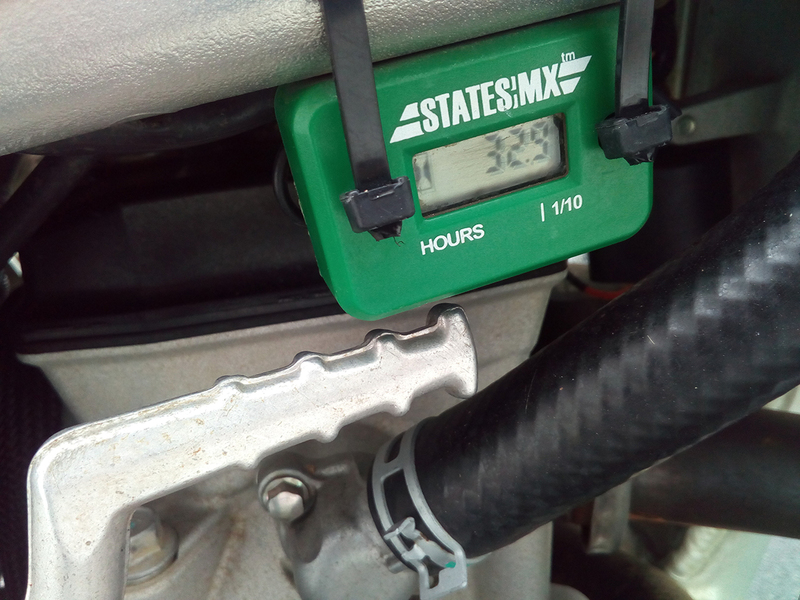 It has just had it’s 10000 km service performed at 7493kms in early November 2018. This model is well known for instilling confidence in the rider. It is very light weight with a flexible power supply. It is at home in town, touring or on the track. Flexibility of use is the key point of difference. The engine is happy to work at walking speed or warp speed. Who said learner approved bikes are dull? Here’s a rare find! Complete strip down and restoration. 1,378 kms since restoration with new speedo, 45,000 kms on engine. Sand-blasted and painted in 2-pac WWII VW bettle mustard colour. New tyres, wheel bearings and front brakes overhauled. New chain and sprockets. Carbies cleaned and tuned to custom airbox. Custom exhaust pipes. Electrics hidden along with new switch gear and lights. A local bike with little use over the years. It features a soft tail-type suspension in the rear and a popular belt drive in lieu of chain. No oiling needed, quiet operation and no mess from chain oil. Fitted with 2-into-1 aftermarket pipes and front screen. It has great quality fibreglass panniers and forward mounted controls. Original parts will be available to its new owner. Will be workshop checked and come with a pink slip and PPSR certificate. This FJR1300A has completed its service with the NSW Police Force. It has been locally based in the Illawarra and serviced by us. It was recently traded on a BMW 6 cylinder Tourer. This bike still rides really well and very smooth. Shaft drive touring with plenty of storage in the left and right panniers as well as a top box. Fitted with crash bars and a toe hitch. 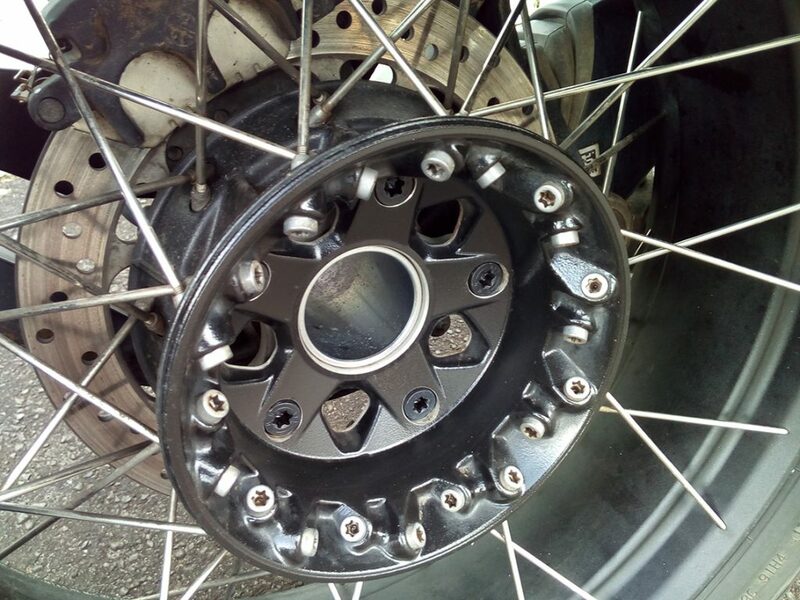 A new rear tyre has just been fitted. Comes with two keys. Reduced to sell – SAVE $1,000! A smart learner-legal model that still has the power to get you out on the open road, safely. They are a nimble and light weight around town. This MT-07 has been well looked after and upgraded with high quality Oxford heated grips, alloy footpegs and adjustable levers. We have the service books, owners manual, three keys and service receipts. Road Bike: 2015 Yamaha MT07 – LAMS APPROVED! This bike is a classic find! It’s had only one owner who bought it from us. Comes with full service history, and original comprehensive tool kit. It has an upgraded suspension for the front and rear and also an upgraded exhaust from the standard to a Remus system. It boasts the highest quality German Wilbers shocks. As a result the bike rides like a new model! With 6 months registration. A very popular learner-legal ride needing a bit of TLC. There is some surface corrosion and it will look great when someone shows it some love. Cheap, easy to service and reliable. This Suzuki is relatively light weight, with a low seat height. It still offers a 500cc engine to get you safely out on main roads. Fitted with a gear rack that will take a universal gear sack. In good condition. With paint protection, Wilbur front and rear suspension. Mostly country touring kilometres. Being a K 1600 it has been fitted with all the bells and whistles! Nice low kms for its age. Rides like a new bike. Traded up for a K 1600 B Bagger. With panniers, topbox and all the bells and whistles for a top of the line sports tourer. REDUCED! The ultimate touring arm-chair. Comes complete with all books, keys, service history, big file of papers. In excellent condition, with very low kms. Suits a new bike buyer! In good condition. With passenger backrest and saddlebags. One owner, low kms and In immaculate condition! SAVE THOU$AND$ ON NEW! With a major engine development, lighter weight and cutting edge technological advancements the iconic 1050cc Triple engine revs harder for longer, improving on its already legendary agility, razor-sharp handling, and pinpoint precision. This Ex-demonstrator is virtually new, with just a few kms on the meter! IMMACULATE! This is our ex-demonstrator. As good as new and with next to no kilometres! 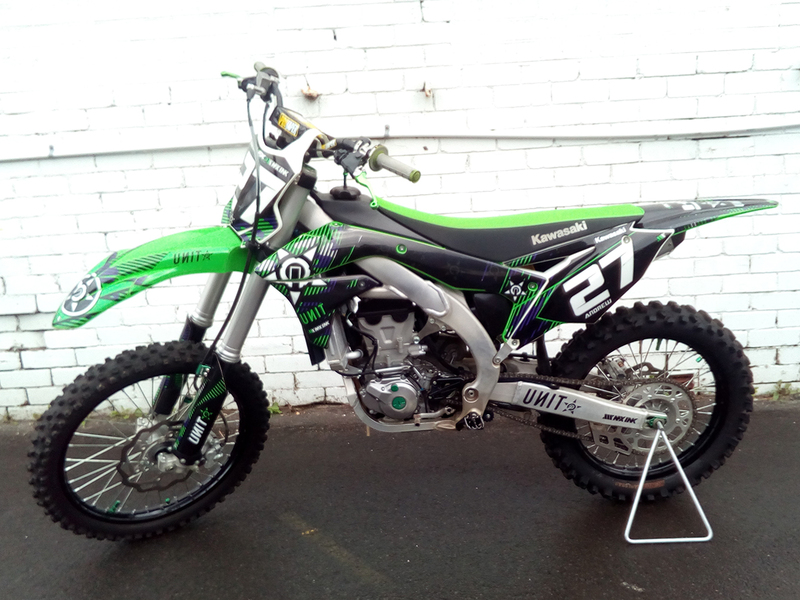 A great low hour example of the popular KX450F. 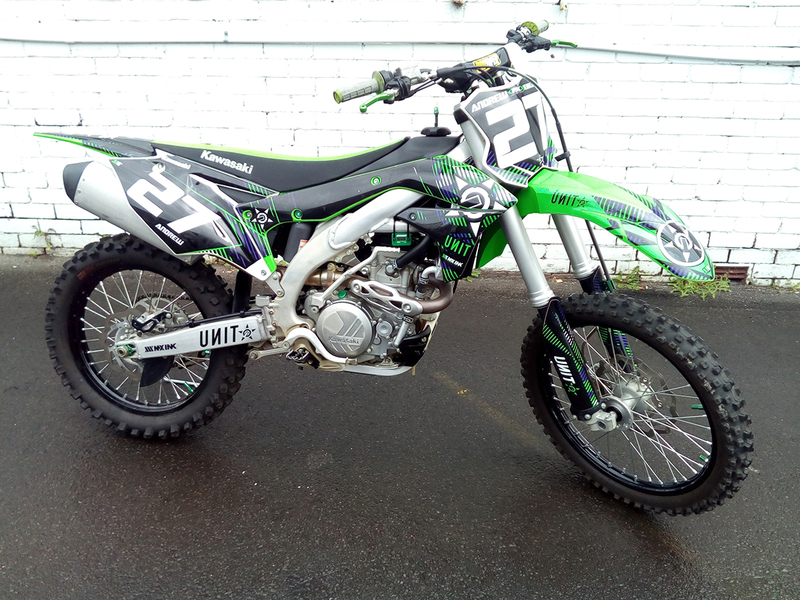 Reliable and fully functional motocross bike. Only run for 33 hours and has not had a hard life. No damage to motor sub frame, wheels and radiators. Fitted with flexible clutch and front brake levers. 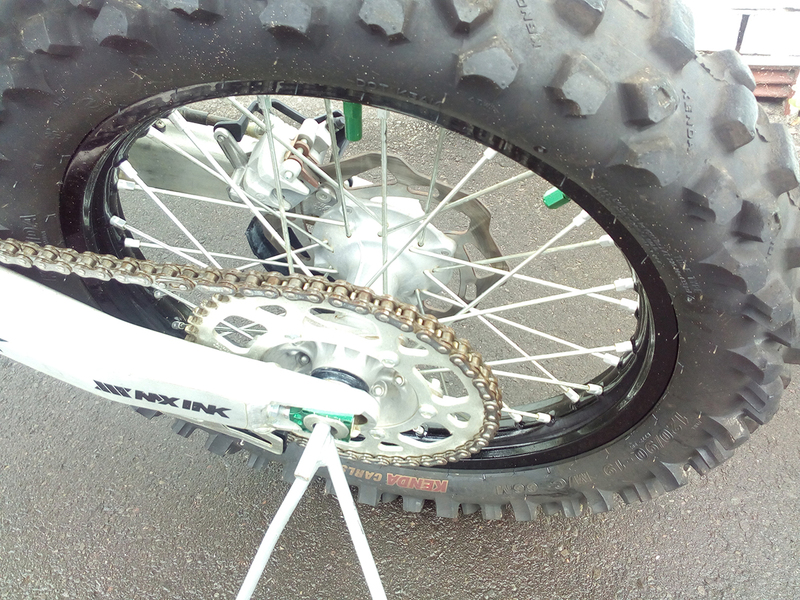 chain, sprockets, tyres, plastics are good to go. In great condition for its age. Near-new front tyre. In good condition and ready to roost! City Coast Motorcycles offers a wide selection of quality used motorcycles and we often receive trade-ins on a daily basis. Our giant range of preowned road and ex-demonstrator bikes is conveniently located undercover in our new adjacent showroom at 266 Keira Street. You can check out the off-road bikes in store at No. 262. All motorcycles, including preowned and ex-demos receive a safety and condition check by our professional Service Centre. We offer competitive options of BMW, Triumph and Yamaha Finance for all makes for your convenience. Test rides available (conditions apply). Keep an eye on our Events page for our exclusive Demo Ride Days, where you can choose from a large lineup of the latest motorcycles from BMW, Triumph and Yamaha.